I am 62 years of age and was involved with the formation of the Tinaroo Rural Fire Brigade in 1996. For the first 10 years I was the Second Officer, Brigade Trainer and Deputy Fire Warden, and I have been the First Officer since 2006. I am also Area Coordinator for Disaster Management for Tinaroo and Kairi Areas and Master of Ceremonies for Tablelands Toy Run which delivers toys and essentials to needy children and their families at Christmas. My passion is with the Rural Fire Brigades and I was nominated for the Innisfail District position after a need for more action for Volunteers was recognised. 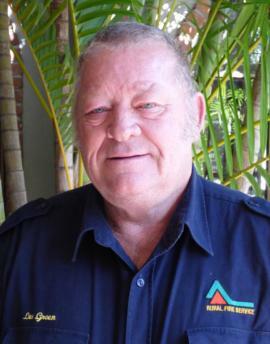 In the past I have worked in many positions such as Prison/Corrections Office at Stuart Creek Townsville, Exploration/Water Bore Driller and have travelled extensively through the Innisfail District.